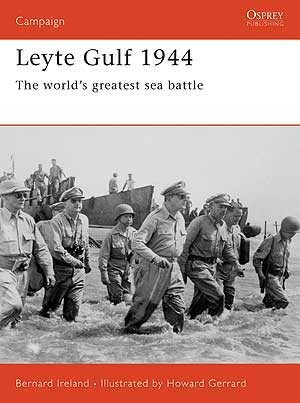 Leyte Gulf was a key victory for the United States: its scale dwarfed previous sea conflicts and its outcome created an opportunity for the US forces to invade the Philippines. 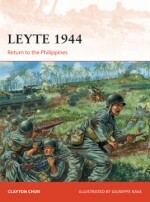 Four different battles - Leyte, Samar, Cape Engano and the Suriago Strait - occured almost simultaneously as past of a Japanese plan to claim a Trafalgar-style victory over the US forces. Yet they were defeated in the battles on the surface, under the sea, and in the air. This highly accessible book describes the conflict's interweaving battles and the personalities of the commanders involved in what has been called ‘the greatest sea battle of all'. Bernard Ireland is a retired naval engineer and Jane's Editor. He is the author of ‘Jane's Battleships of the 20th Century', ‘Jane's Naval History of World War Two', ‘Warfare in the Age of Sail', ‘War at Sea 1914-45', ‘Navies of the West', ‘The Battle of the Atlantic', ‘Warships of the World: Major Classes', ‘History of Ships' and ‘War in the Mediterranean'. He is married and lives in Hampshire, UK.Howard Gerrard studied at the Wallasey School of Art and has been a freelance designer and illustrator for over 20 years. He has worked for a number of publishers and is an associate member of the Guild of Aviation Artists. He has won both the Society of British Aerospace Companies Award and the Wilkinson Sword Trophy and has illustrated a number of books for Osprey including Campaign 69: ‘Nagashino 1575' and Campaign 72: ‘Jutland 1916'. Howard lives and works in Kent, UK.